Camouflage and conceal stretch marks, bruises, spider veins, scars and burns on legs or anywhere else on the body. This full coverage formula is water resistant, sweat proof, transfer resistant, and dries to a powder finish for a natural look. Our amazing Lash Excellence Mascara got a makeover! Take your lashes to the next level! The flexible silicone brush creates defined and elongated gorgeous lashes. Note: DO NOT PUMP MASCARA TUBE BEFORE APPLICATION. 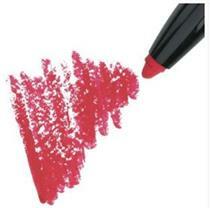 Heavy-duty lipstick topcoat. Clear liquid brushes on a smearproof, waterproof seal that locks in color and keeps lips looking fresh for hours - NOTE: MOST LIKELY YOU WILL FEEL A MILD BURN THAT WILL LAST A FEW MINUTES.